Cats, being the wonderful creatures that they are, can be such delightful companions. They keep watch over you like bodyguards. They distract you from work when you’re getting stressed. And, if you’re especially lucky, they moonlight as your home’s pest control officer (read: mouse hunter) whether you like it or not. Of course, life with your feline friend isn’t always filled with cute meows and endearing quirks. 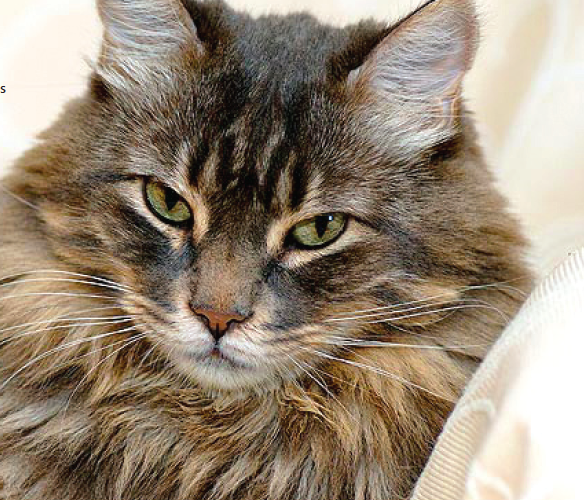 If a dead mouse in the house isn’t the only issue you’re having with your cat, pay attention as we share a list of common cat problems together with a few tips that might put your worries to rest. Just in case your cat is simply bored, give him a heavy meal and play with him before bedtime. However, that doesn’t always work.If he continues to act like your alarm clock, it’s time for you to channel the actor in you. “Pretend you’re still asleep. Otherwise, he will think, ‘Success!’” Don’t let on that you’re up. Even the slightest movement will reinforce his behavior. Problem #2: When your cat decides to “redecorate” your homeSome cats think they can do a better job at interior design than you. Take your couch, for example. Its fabric lacks texture, your cat may think, so he scratches away until he starts seeing cushion. Unfortunately, a cat-scratched sofa isn’t your idea of beautiful furniture. The destruction of upholstery has got to stop!But before you reprimand your cat, remember that to him, scratching comes naturally. 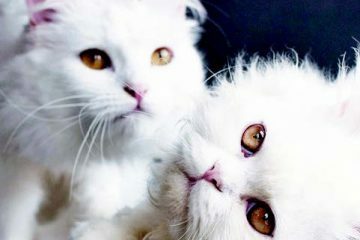 “Scratching is part of a cat’s normal behavior,” says veterinarian Dr Rizalyn Zunio, who co-founded The Pet Project Veterinary Clinic and Surgery with Dr Melanie Pelayo. “To address this issue, you have to understand that they need to scratch.”Instead of punishing your cat for ruining everything it can get its paws on, provide him with something he can scratch to his heart’s content. Give your cat a scratching post or two and reward him whenever he uses it. You can also try purchasing durable doormats – they double as scratching posts.If your cat insists on sharpening his paws on the furniture, try using deterrent sprays. “Spritz some lemon-scented solution where you don’t want your cat to scratch,” advises Dr Zunio. One moment, you’re feeling very zen, running your fingers through your cat’s soft fur. 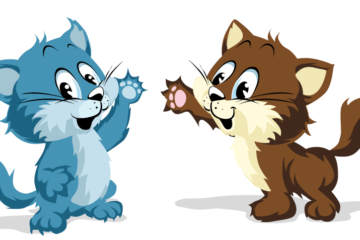 The next, your cat latches on to your hand, his sharp claws digging into your skin as he kicks your arm like a martial arts expert!Uh-oh, the cat has gone kung-fu on you. Called petting-induced aggression, it can happen if you overstimulate your cat. “Your cat doesn’t mean to hurt you. He doesn’t realize that it’s painful so you have to show him you don’t like it,” Dr Zunio advises.Shawn, a kitten rescued by Jonna before a man threw her off a bridge, had a habit of showing off her kung-fu skills. “[It does hurt when she bites!] I have been teaching Shawn to stop biting,” Jonna shares with a smile. It doesn’t help if you slap his paws away in panic. “When your cat sees that you’re excited, he might get excited, too.” Instead, push your hand towards your cat’s body and he will disengage sooner than if you tried to pull away frantically. 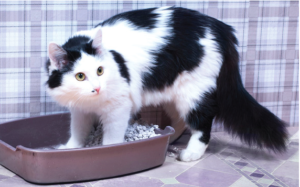 Your feline buddy uses the litter box religiously… until lately, that is. Now, he would rather poop and pee on your carpet. Or on the couch. Or somewhere else he has never pooped and peed before – anywhere but the litter box. “It can be a form of rebellion,” Dr Zunio explains. “Has your routine changed lately? Do you have a guest in the house? Did you just rearrange the furniture? Chances are, your cat doesn’t approve.”It may also be a litter box problem. “Did you change to a new type of cat litter? Cats like things the way they are. Try transitioning gradually by adding the new litter in gradually increasing amounts,” Dr Zunio advises. “Or maybe you forgot to clean his litter box. Cats hate that.” Yes, they can be a stickler for cleanliness. 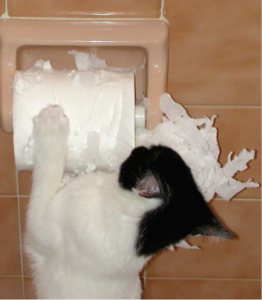 Your cat’s refusal to comply to toilet rules may also be a sign that he has health issues. 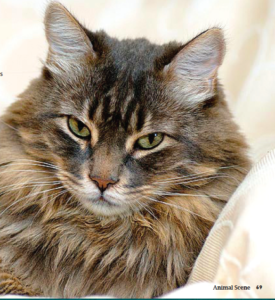 “Your cat may have urinary tract infection,” Dr Zunio says. Schedule a visit to the vet if the problem persists.When you and your cat experience problems, it’s your chance to show him that you’ve got his back. It’s also a great opportunity for you to bond with him and get to know him better. Congratulations! You have officially mastered the art of cat! Armed with knowledge (and the willingness to get a few scratches – it comes with the territory), you are on your way to a fulfilling relationship with him. Ruined furniture and multiple scratches aside, your quirky feline friend will find charming ways to show you that he thinks the world or you.